First, the app does not recognize and hyperlink links. 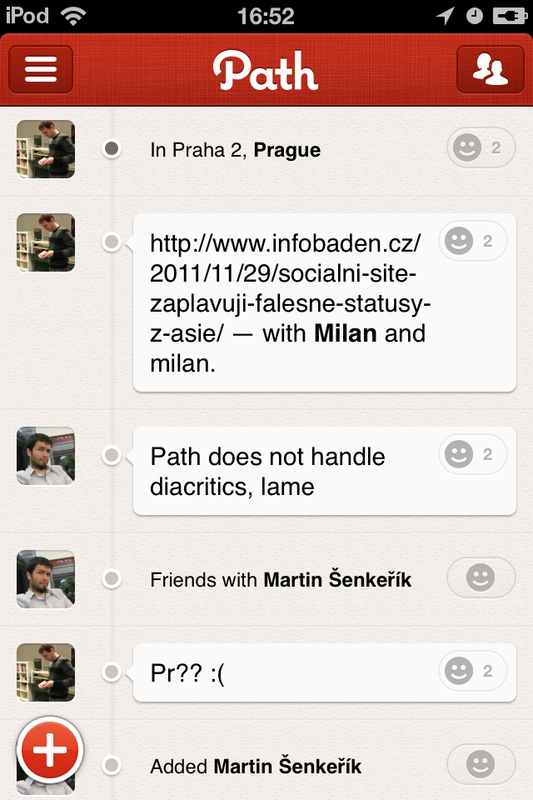 Second, it does not support national characters (the word with question marks on the screenshot should be “prší”). These are relatively cheap to fix, yes, but with the attention to detail that went in, I’m surprised these bugs are present at all.